Exclusive review of Jeff Tomsic’s ‘TAG’. Released on the 14th of June, TAG follows a group of highly competitive friends who meet every May to play an aggressive rendition of the popular schoolyard game the film is named after. It is a tradition that they have upheld since their youth and a tradition that shows no signs of slowing down despite the fact each character puts their own lives, jobs and relationships on the line! Also the fact that the characters are scattered across different parts of the world. The film is directed by producer and director Jeff Tomsic, best known for his 2011 film ‘I’m Having A Difficult Time Killing My Parents.’ Tomsic’s latest film, which falls under the genre of comedy, is actually based on a true story published in The Wall Street Journals. The film boasts of a varied cast, each of whom break free from the genres of films they are typically attracted to. 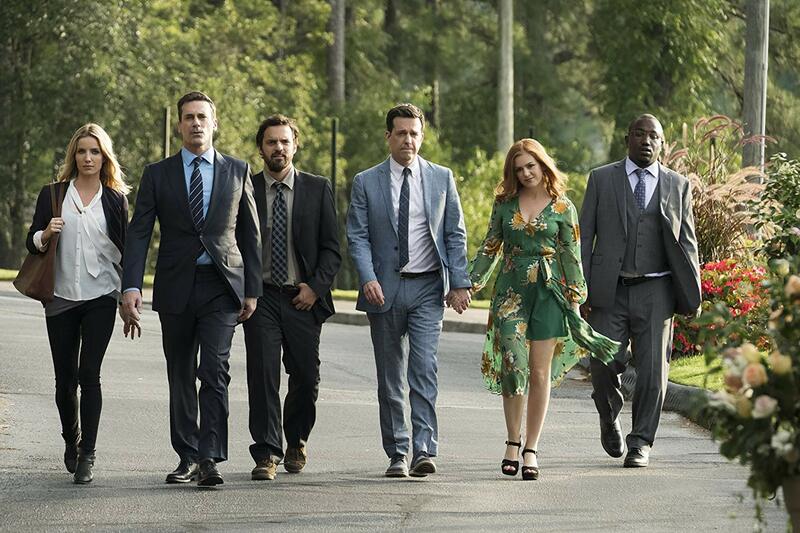 The star-studded cast includes Isla Fisher, Ed Helms, Jon Hamm, Jeremy Renner and Jake Johnson. Most refreshingly, Jeremy Renner breaks his typecast from the action films he usually appears in such as The Avengers and Mission Impossible franchises. Yet it comes as no surprise that Ed Helms brings the humour as a seasoned comedic actor whose profile includes The Vacation, The Hangover, and The Office US. The game within TAG has the aim of tagging the seemingly-untaggable Jerry, who is both fast and focused, and the only undefeated player. The gang discover his engagement, and plot to ‘tag’ him whilst he is making wedding plans and thus not as alert as he has been in previous games. However, things go awry when Renner’s character specifically prohibits them from playing during any occasion associated with his wedding. Genres such as comedy, action, and thriller are blended within TAG expertly. This is then reflected within the film’s use of camera work and colour palette: playful and comedic scenes are well-lit and colourful, whereas darker and monochromatic frames are paired with tense sections. This simple technique, with its heightened representation of the game, effectively keeps the viewer involved and helps to build anticipation by causing spectator’s eyes to focus on particular aspects of each scene. Moreover, TAG is no simple film either, it explores the bonds that a group of friends share and how these bonds change as they grow older over time, and how they inevitably grow apart. The game within the film is further presented as common ground that brings all of the characters together despite this ageing process, and which enables each character to revert to their former childhood selves. The distance in between each yearly game also allows each character the distance to re-examine their friendships. With a broad range of humour, a star-studded cast and a fun plot, TAG will surely keep you in your seat. Rekindling nostalgia for childhood friendships, it is certain that when you walk out of the cinema, you will long to play schoolyard games with the forgotten people from your youth. Act on this yearning. Make your own tradition! ← Things I wish I knew before starting University.